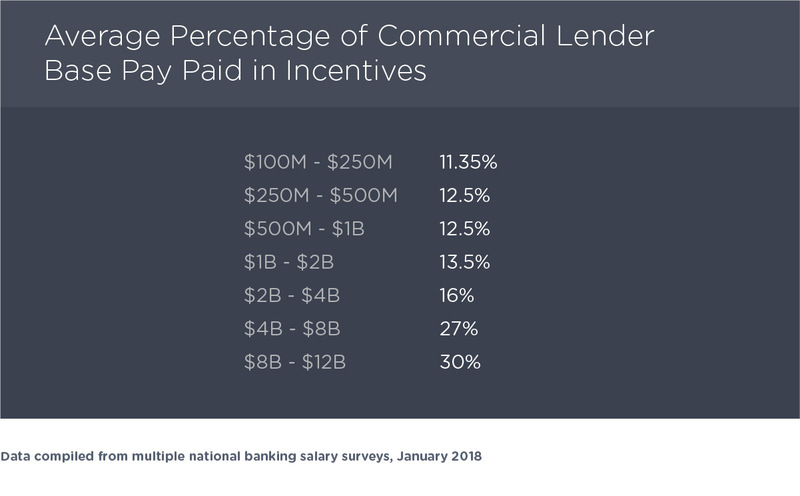 The competition for talent and growth within commercial lending has never been higher, and as a result, commercial lenders continue to be among the most highly incentivized individuals in the bank. 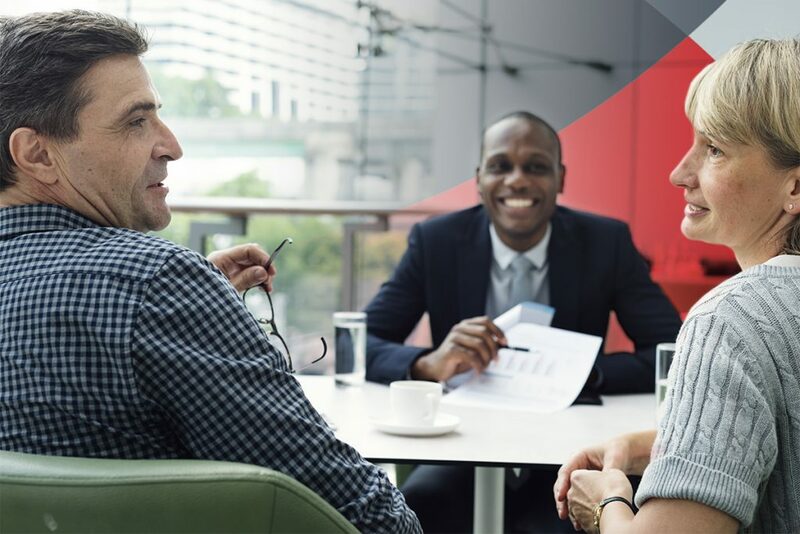 Further complicating recruitment is the credit analyst position, a notable hot job and the most common feeder position to the commercial lending role. This all makes it important to think carefully about maximizing the financial institutions return and ensuring the effectiveness of lender compensation by thoroughly evaluating your incentive programs. The plans should motivate the right behaviors, properly consider risk elements, and successfully align compensation with performance. Are you over or under compensating compared to your peer group? The first step is to evaluate the business priorities of the lending group. What is the preferred balance between profit and growth for each commercial business line? How should your business segmentation impact your plan design? i.e. does the bank need multiple incentive plans or one to cover multiple loan types? What are the cross-selling or referral expectations for lenders? Can you effectively add goals that increase focus on risk and item exceptions? Which products and behaviors should your lenders pursue in order to encourage sticky relationships with your commercial clients? Do you want lenders to focus on deposit gathering to the same degree as loan production? Consider that not all deposit products are equally profitable. How should the weighting of the goals reflect the priority and profitability? i.e. if the bank prioritizes C&I loans due to their typically higher level of fee income and associated deposits, rather than larger CRE loans, the incentive plan should reflect that priority. Should you pay out annually or quarterly? What are the bank’s goals for specific types of commercial business in terms of client type, industry, and loan size? What should be the targeted payout as a percentage of base pay, and should there be stretch goals or a cap on incentive payout? These are just a few examples of the questions to be considered. In order to properly contribute to the bank’s overall success, the incentive plan design and performance goals must reflect the bank’s priorities for the commercial lending group. In addition to identifying plan goals vis-à-vis departmental priorities, you must align incentive awards with the performance necessary to earn those awards. If performance and awards are not appropriately aligned, the bank may overpay for mediocre performance or not appropriately reward its high performers. Either scenario can have a negative impact on corporate performance. Robust performance and payout modeling is particularly important when a new or revised incentive program is implemented, as changes to plan payout methodologies may necessitate changing performance expectations for lenders. While lender productivity generally has the greatest impact on plan awards, incentive plans cannot ignore risk considerations. The actions of commercial lenders can have a significant impact on the organization’s credit quality and profitability in future years, and incentive plans should be designed to mitigate behaviors that aren’t aligned with the corporate risk policies. In some cases, risk factors may be included as specific objectives under the incentive plan. Frequently, mechanisms outside of the core plan are used to safeguard against risky behaviors or poor risk outcomes. Common plan mechanisms include credit quality payout triggers, claw backs that seek to recapture pay that has already been awarded and deferrals that pay out based on long-term risk outcomes, among others. Note that commercial lender payouts don’t differentiate by asset size, to the degree one might expect, until the assets of the organization are above $4B. Average performance normally equates to average payouts. However, stellar performance may equate to 200% of the average payout. Commercial lenders can have a significant impact on your company’s organizational success, and your commercial incentive plan can have a significant impact on the business and behaviors pursed by your lenders. As you plan for 2018, take time now to evaluate the alignment between goals and business needs, payouts and performance, and plan features and risk policies. Doing so will help your bank maximize the potential organizational impact of its commercial incentive dollars.